Although the "yearly taste" is getting weaker and lighter, there are more and more spit on the "Spring Festival Evening", but the "Spring Festival" and "Spring Festival Evening" are still the battleground for the merchants. Compared with other festivals, the “big force discount” or “gift list of various names” is the promotion trick of the routine. This battlefield has become the main force of platform-based enterprises to “promote” and “pull new”. Among them, a "new traditional project" that is almost universally participated and expected by the whole people is the red envelope war. From offline to online, from elders to relatives and friends, this New Year game, which has both Chinese characteristics and benefits from the dynamic development of mobile payments, has been available since 2014.Common people(603883) Their enthusiasm support. The first to pick up the war is WeChat. In the Spring Festival of 2014, the WeChat red envelope that was born in the world successfully tapped Ali’s payment corner with its strong social stickiness and the “Chinese tradition” of the Spring Festival red envelope. In just one Chinese New Year, WeChat payment quickly gained a firm foothold and stabilized the position of the mobile payment giant. In contrast, Ali relied on the payment habits of many years of Taobao users to seize the throne in this field early, but lost in this year. In the following years, driven by the popularity of the people and the enthusiastic reports of the media, and driven by the interests of the market, Ali and Tencent each made a high-profile move, with the "set five Fu", the Spring Festival Evening "shake" and other ways to continue The market share war during the Spring Festival. Combined with the “promotional activities” of the daily line, the two giants are in the mobile payment market, forming a duopoly competition. According to Ai Media Consulting Data, the two giants of Alipay and Tenpay in the first quarter of 2018 accounted for 90.6% of the market share of China's third-party mobile payment transactions. However, there have been some new changes in the red envelope war of the 2019 Spring Festival. Among them, the new incoming players are fierce. From the perspective of the Spring Festival battlefield, Baidu is fully pursuing. Baidu, one of the BATs, has been questioned in recent years. In addition to the lack of such explosions as Taobao, Alipay, WeChat, and games, even the traditional ace "search" has shown a decline. The artificial intelligence that has been exerting force is far from the lives of the people, and the story of realization is not vivid enough. Coupled with Jingdong, Xiaomi and even the headlines, the newcomers are eye-catching and ambitious, and the title of BAT can be a huge question mark. In 2018, as the exclusive online interactive platform for CCTV 2019 Spring Festival Evening, Baidu announced that during the Spring Festival Evening broadcast, the global audience participated in the Baidu APP red envelope interactive activities reached 20.8 billion times. In addition, after Xiaodu was split into 2018 and put into independent operation, Baidu, whether this veteran will enter the battlefield of payment and wallet, has won wide attention. Ten years old shop Weibo is also involved. The "2019 yuan red envelope" jointly launched with the star and a series of tickets, brand gifts and other koi red envelopes will be pushed to the user's mobile phone through multiple channels such as the App. Although the decade seems to be no longer a "old name", in the field of mobile Internet, Weibo seems to have become a representative of the classic. Although the value of social attributes and commercial realism has been questioned under the impact of WeChat, its powerful stars, bloggers and other sources of opinion leaders and public opinion are still not to be underestimated. The same big investment is the Internet's new vibe, fast hand. Throughout the Spring Festival Evening of each TV station, there are many people who are famous for their vibrato and fast hands. In particular, the former, also in the same way as Alipay "Five Fortunes" launched a collection of notes activities - users only need to collect "哆, 来, Mi, hair, cable, pull, West" seven notes during the event can participate in the split 500 million yuan Red envelope. The APP war to strengthen social attributes or pull new ones has become a new task for this red envelope. Correspondingly, the old rivals of the Red envelope war, Ali and Tencent, appeared to be more restrained. Alipay uses the traditional “Five Fortunes” as its main method, and incorporates detailed adjustments including ant forests. The WeChat red envelopes are slightly interesting, such as adding expressions and random amounts (mostly the symbolic Geely numbers). The humanistic style of play enriches the form of the red envelope, but instead increases the investment in red packets in the short video field such as "microvision". The above changes are not accidental, but reflect the subtle changes in the mobile Internet industry: on the one hand, after accumulating a huge user base in the early stage, the growth rate of the veteran giants has shown a slowdown, and the high popularity has also raised the follow-up market expansion. The bigger the challenge, the more red packets are for the user experience rather than the new one. On the other hand, new influxes are launching an impact on this market, including veteran Internet giants and fast-rising upstarts, as well as unexpected opponents who criticize across the field. For them, "red envelopes and new ones" are still an affordable and effective way. However, the red envelope war is useful and not long. It will still be a problem for how long it will last. 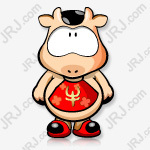 The red envelope war between Tencent and Ali in recent years is not limited to the Spring Festival. From taxi software to take-away merchants to shared bicycles, “red envelopes” have become the “standard strategy” for merchants. In the early stage, there was not enough capital to “burn money” to become a necessary condition for competition in many fields. Among them, Tencent and Ali have become the main "red-bucket bullet supply parties" with their strong capital strength. From the results, in many areas, short-term traffic realisation and medium- and long-term sustainable development does not seem to form a virtuous circle, and the marginal benefits of the "red envelope war" are worth reconsidering. The bigger problem is the use of the scene. The success of WeChat and Alipay lies not only in the red envelope, but also in its own huge user base. Using these two apps as an important tool for mobile internet, in addition to affordable convenience. And if it is only a small amount of red packets with uncertain amounts, whether it can pull users to download new apps, or even use the app frequently and then replace the original usage habits, is also a new problem. This is also an important reason why the "red envelope effect" gradually shifts from activating new users to activating social attributes, stimulating users to increase retention time or frequency of use. In short, the red envelope war is getting more and more lively, and this is essentially a new battlefield created by the “traffic anxiety” of mobile internet. In the final analysis, after the Eight Immortals cross the sea, the competition with mobile internet tends to become hot. Who can launch more efficient, convenient, low-cost, high-frequency products, content and services is the key to become a real winner.